Developer Anders Petersson is in the final stages of bringing to market his latest project, Windsond. 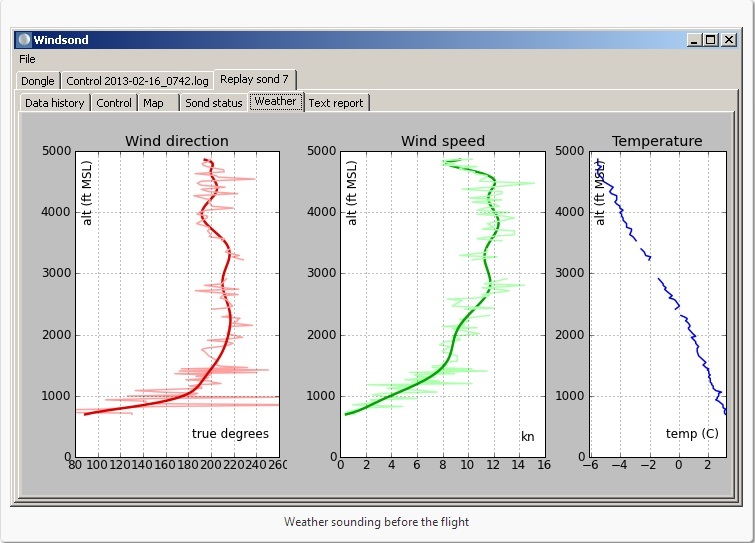 Windsond is miniature radiosonde which can give you an immediate view of local weather conditions at different altitudes. Anders said, “The focus of Windsond is on portability and low operating costs makes it perfect for air sports. 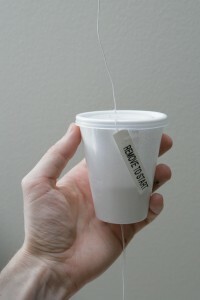 An electronic sond (“radiosonde”) connects to a small helium balloon. While it ascends through different air layers, it transmits telemetry data to a receiver on the ground. The receiver consists of an antenna, USB device and a regular Windows laptop. At a specific altitude the sond detached from the balloon and falls back to the ground where it’s easily recovered for reuse. Special algorithms lets the user direct the sond to a suitable landing site. A major point is the extremely low balloon payload weight. At only 12 grams (0.42 oz), a mere 30 liters of helium is used. This gives a low cost for helium and balloon, and allows the use of a helium canister as small as they come — 1.5 kg. Simple sond activation by pulling a tag. Sounds indicate when the sond is ready for launch. Radio link with programmable frequency and transmission power. Specially developed error correcting code for more robust radio link. Ths sond can detach from a ground anchor by itself, for remotely initiated launch. Specially developed algorithms lets the user choose landing site with better than 100m accuracy. The coordinates of the actual landing site is known with 20m accuracy.